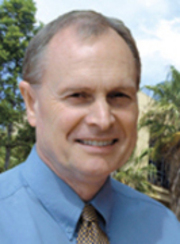 Professor Boyle has spent over three decades undertaking quantitative research in the field of psychometrics, as related to the measurement of individual differences in personality, intelligence, and motivation, as well as undertaking studies within the fields of neuropsychology, clinical psychology, and educational psychology. In more recent years, he has applied his extensive research skills to studies within the broad fields of medical/health psychology, and has undertaken many studies within the area of women's health. Lately, he has focused his attention more on research topics pertaining to men's health.